Give us a click on the button below for information on booking the boys at your venue for a full show, concert or corporate event. 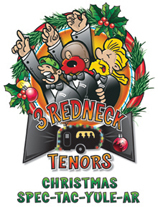 The “infamous” 3 Redneck Tenors are back and on the road again. These boys have seen it all, sing it all and make us laugh 'till we double over, reminding us that in life, it is not the destination, its the journey. 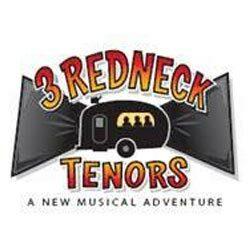 Get ready for one sidesplitting ride as we go on an excursion only the 3 Redneck Tenors could have had, delighting audiences with their vocal prowess and a smorgasbord of songs and music ranging from Gospel, to Country, to Broadway, Pop, and Classical. 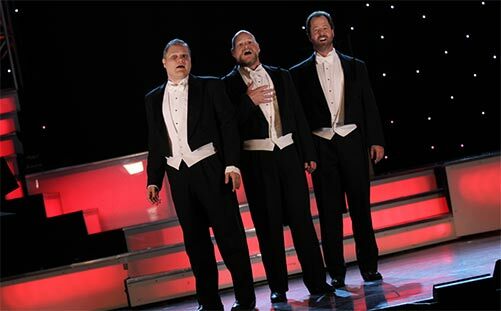 You’re going to love them and so will anyone with a sense of humor and an appreciation for incredible voices. 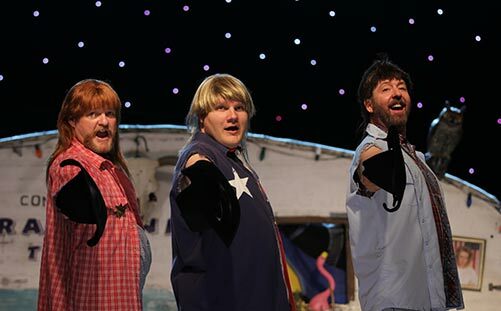 Those singing trailer park angels are packing their festive Christmas mullets and will be dashing through the snow just in time for some down-home holiday cheer. 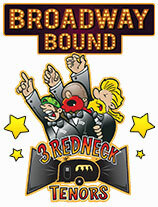 Performed by the same great cast of the hit 3 Redneck Tenors – a New Musical Adventure. These real life Broadway and Opera stars are ready to warm your holidays with classic, pop and deep-fried feast of musical delights. 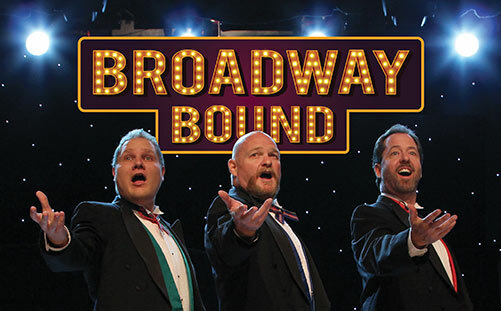 The familiar holiday tunes in the show include classics like: Sleigh Ride, White Christmas, I’ll Be Home for Christmas, Santa Baby, Santa Claus is Coming to Town, Blue Christmas, O Holy Night, Winter Wonderland, Jingle Bells, and Silent Night. You’ll also enjoy holiday spoofs like Grandma Got Run Over by a Reindeer and I Saw Mommy Kissing Santa Claus and a few other great surprises!